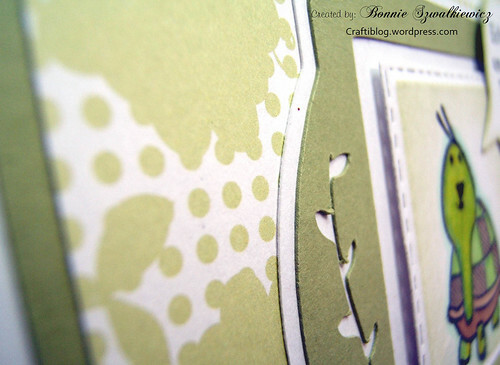 The last card I’m sharing from the March Shoe Box craft night is one I brought for the ladies to make. 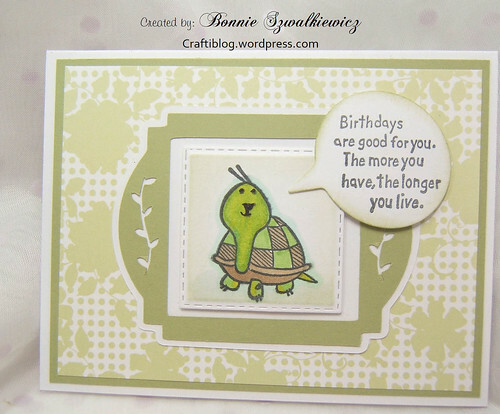 A fun birthday card featuring the acrylic set by Inkadinkadoo called Humerus Birthday. Before I got to craft night the ladies were taking bets on how many layers I’d have on my card (both inside and out) Ms. Maggi won with her bet, 10 layers. The frame is cut with the Cricut from I think, the cartridge Elegant Edges. 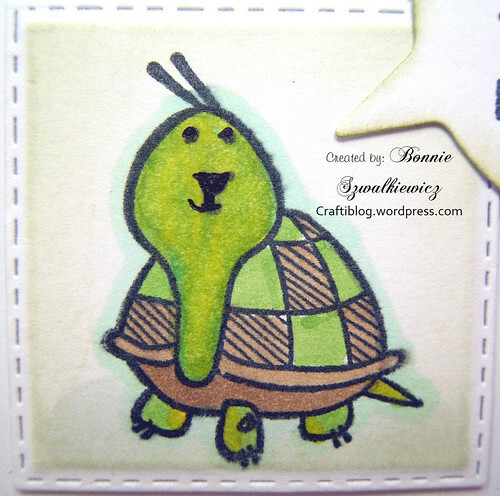 this adorable little turtle was cut out using a no-name brand die and colored with alcohol markers. 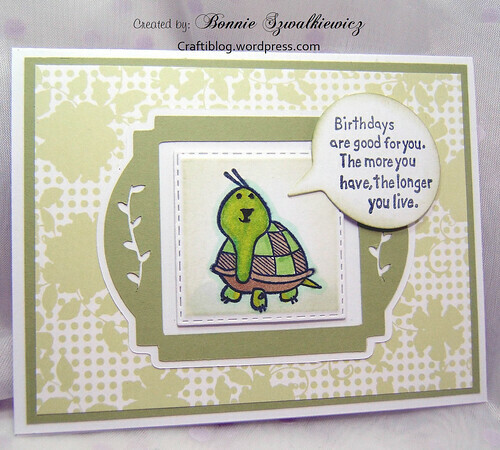 The sentiment (also by Inkadinkadoo from the same set) was stamped on a die cut word bubble by Quick Cuts. 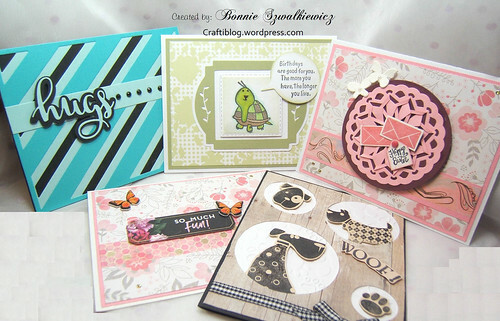 And one more look at the card………..
And now the review of all the projects, in case you missed any of them…. What a fun night! Thanks to Chrissy for hosting this past month and to all of the ladies for sharing their talent and art supplies! Cute card! 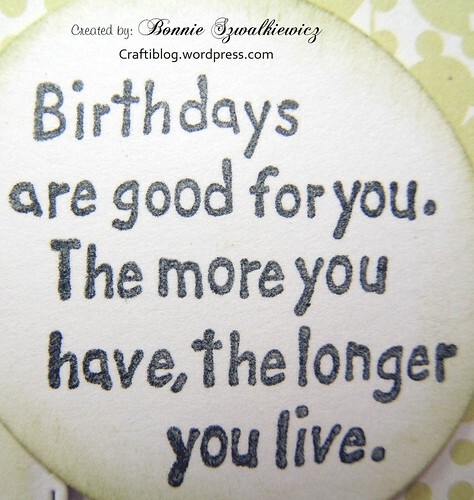 Thanks for joining us at Always Happy Birthday.